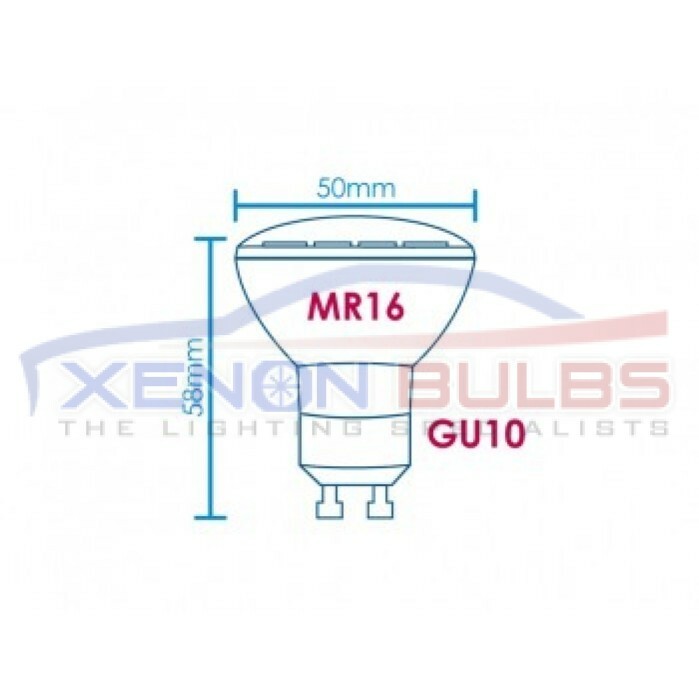 These special Glass / Ceramic bodied GU10 Bulbs use 24 high powered 5050 SMD LED chips to emit the same equivalent of light as a regular 40 - 50w Halogen bulb. The bulbs are a low cost item to run using only 4 watts of power and have a 50,000 hour lifeline which will save you a substantial amount of money over that duration. 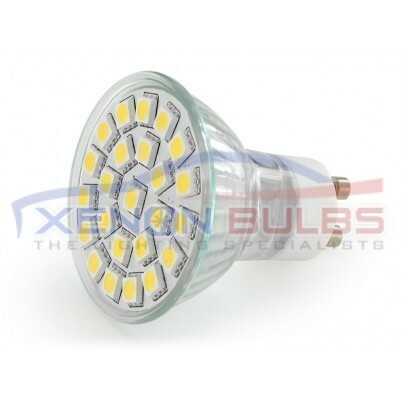 Unlike halogen bulbs these bulbs emit a much cleaner light and due to the high quality LED chips used the colour will never differ or gradually fade. These GU10 LED bulbs meet all UK safety regulations (CE and RoHs) and we offer a two year guarantee to any customer whom purchases any item from us. Due to the high quality of our products and installation service we offer our items are regularly used in some of the UK’s largest shopping centres, hotels, Celebrity homes, etc... so please buy with confidence..